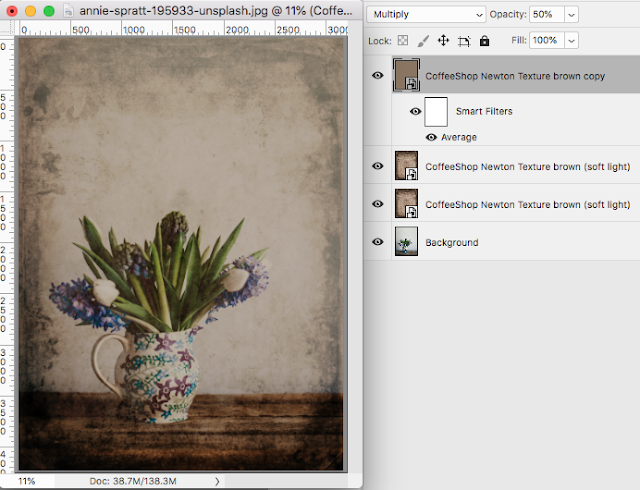 The CoffeeShop Blog: CoffeeShop " Newton" Fine Art Vintage Texture Set! CoffeeShop " Newton" Fine Art Vintage Texture Set! I know many parents have been busy these last weeks since the new school year is finally here. We have been doing some school all summer so it hasn't been a huge transition or change for us, but so many of my friends are feeling bittersweet emotions that summer is over. Personally I am welcoming fall with open arms, once it gets here. We are at the height of the hurricane season and heat indexes are over 100 during the day, so as you can imagine I AM OVER IT! I had some time to put together a really beautiful set of aged-paper textures/overlays to share with you. These look gorgeous on so many images. 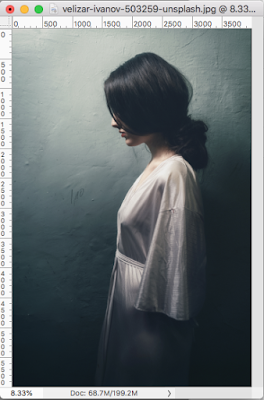 Try Soft Light, Overlay, Multiply, or Screen blending modes (or a combo of a few). 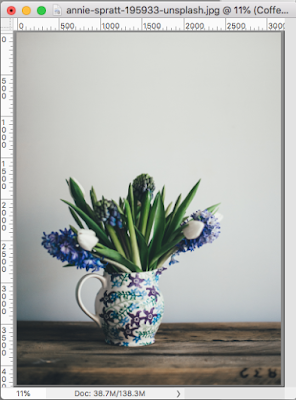 Original images used in this post: (Woman, Owl, Flower Vase, New York). 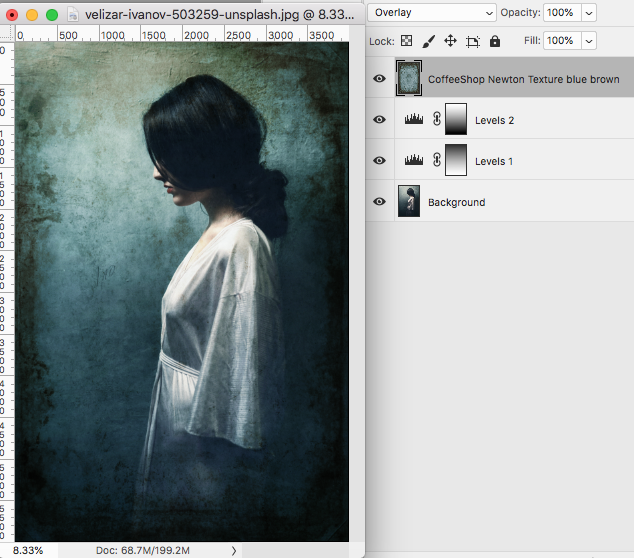 In this edit I added the CoffeeShop Newton blue-brown texture in Overlay blending mode at 100%. Then I added two Level adjustment layers under it, one to brighten the bottom of the image, the second to darken the top. This can be down several ways, but I just adjusted each area separately and then masked it off the other side. 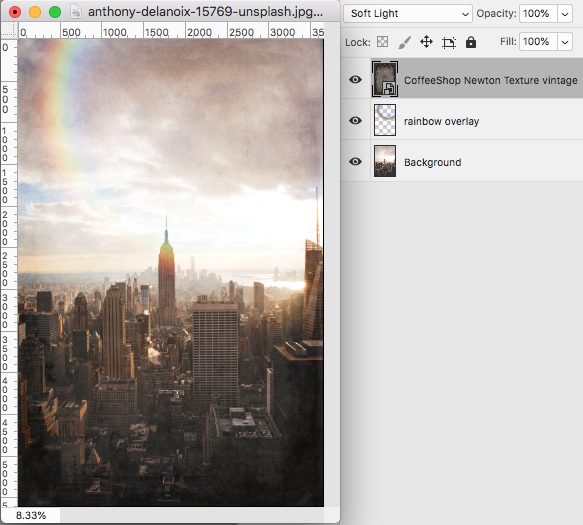 In this New York edit, I added the Newton Texture vintage in Soft Light blending mode and then added a rainbow overlay. Download the high-resolution version here! You are welcome to print or use this on the web. 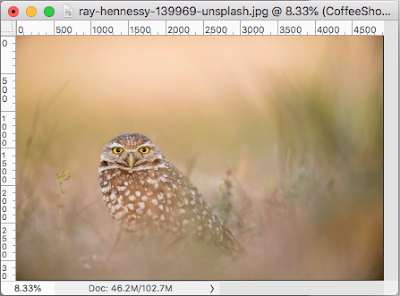 In this owl edit I added the CoffeeShop Newton Vintage texture and put it in Overlay blending mode. Super easy and pretty results, right? I wanted a very vintage feel for this edit, so I added the CoffeeShop Newton Texture brown twice in Soft Light blending mode. 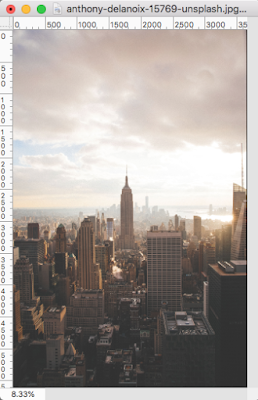 Then I made one more copy of this texture on top, and then selected it and went to the top menubar Filter. This changed it to the average color of the texture and I put this layer in Multiply blending mode at 50% opacity to age the image and add color to the light background. I would love to see your edits using these textures posted on my Facebook page! Download the CoffeeShop "Newton" Fine Art Vintage Texture Set! Thank you so much Melanie!! !